We experienced a first this weekend...one that I was not looking forward to. On our way to Amarillo on Friday, Carter got carsick. He threw up, not once, but three times. And there was nowhere to stop until we got to MiMi's house. God bless the little guy. Once he was out of the car, all was well, and he hit the ground running. 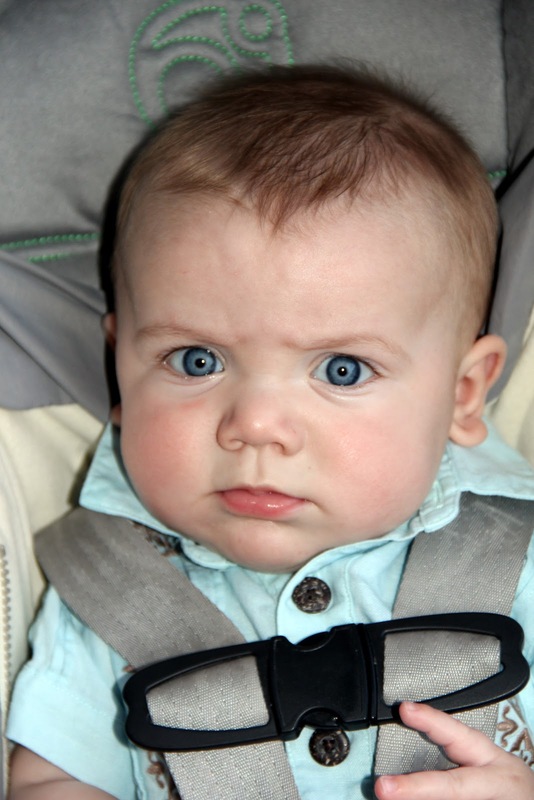 We then decided to disregard the pediatric recommendations and turn Carter's carseat around. Here's to hoping that, and a little more air, will prevent another disaster in the car! The rest of our weekend consisted of going to Mass, eating with the grandparents and spending Sunday resting. What a glorious few days with family!